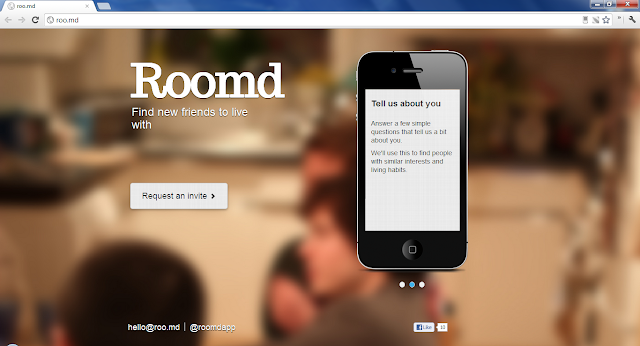 Roomd uses your social graph to find you a perfect roommate. Unlike regular classifieds Roomd uses your Facebook profile details to generate your ad for renting out a room or for finding one. After answering a few questions the app will match you up with people that have similar interests and living habits. The potential matches given will have a greater chance of being your friend instead of just a roommate. Check out these tools for easily splitting your expenses!